Sachin Tendulkar will go down without doubt as the batting supremo in ODIs of all-time. The Little Master has over 18,000 runs in this format and is the most capped player, having featured in 453 ODIS in his illustrious 22-year old career. Not to mention, Sachin Tendulkar is also the first man to score a double century in ODIs, and it was a record for a period of 20 months until his disciple, Virender Sehwag broke it. His records are as distant as Bangalore is to Barbados for contemporary batsmen, so much so that Sachin Tendulkar can add as many runs as he wishes to in his tally but has purposely not since the last nine months, having featured in an ODI last in the World Cup final in April 2011. The turning point of Tendulkar’s ODI career was in March 1994 on India’s tour to New Zealand. In a match in Auckland, Navjot Singh Sidhu was injured almost at the last minute and as a result, Sachin was asked to open the batting for the side. It was his rebirth as an ODI batsmen and it also turned India’s fortunes significantly in the format thereafter, as the move worked glamorously with Sachin hitting an attacking and match-winning knock 82 runs off just 49 balls. But it was in his 73rd one-day game that he scored his first century. Astonishing, isn’t it? But true, as it came against Australia incidentally, a team who he would go on to dominate throughout his career, at Colombo in 1994. Since then, he has looked to improve his batting always which is ironic considering that he has always been the master in this format of the game. In the 90s, Tendulkar was more destructive rather than constructive but that style got him two back-to-back hundreds against Australia in the sands of Sharjah in April 1998, with his 138 in the final on his 25th birthday being one of the top-notch knocks of ODI cricket of all time. Those two tons established his stature as a legendary batsman, despite having played for only 10 years of international cricket back then. In 2001, he became the first man on the planet to hit 10,000 runs in ODIs and yet again, that was achieved in a match against Australia in a home series. It was almost unthinkable that a batsman can reach this milestone, but Tendulkar made it possible and created the foundation for others to achieve much later in their careers. In World Cup cricket, he is the highest run-scorer with 2278 runs in 45 appearances. He was the man-of-the tournament in the 2003 World Cup in South Africa for scoring more than 600 runs on aggregate, and it was due to his efforts that India reached the finals with his most memorable knock being the 98 against Pakistan in a high-intensity group match at Centurion, where he also hit Shoaib Akhtar for a six over point. While in 2011, Sachin scored hundreds against England and South Africa but won India the semifinal against Pakistan with a fortunate but important 87. His dream was fulfilled with India winning the World Cup fittingly in his home town, Mumbai. His record for the highest number of runs and tons in this format have never been threatened till date by any player and is unlikely to be, with the excessive amount of cricket these days being played and the T-20 format being another obligation players usually would like to fulfill. No wonders fans would be dying to see Sachin Tendulkar back in the action for the upcoming ODIs in Australia. Sanath Jayasuriya is to Sri Lanka, what Sachin Tendulkar is to India. Both are short but powerful when it comes to their batting. At the moment, he stands as the third highest run-scorer in the one-day game, behind Sachin Tendulkar and Ricky Ponting. An aggregate of 13430 runs in 445 matches at a strike rate of 91.21, shows that age cannot be detrimental to consistency as he played in the same vein for the last 21 years, until he was replaced by the young Upul Tharanga at the top of the order. Sanath Jayasuriya will always be cherished by fans over the world for his elegant strokes due to his exceptional hand-eye co-ordination as well as his ferocious pull shots. Not to mention his signature stroke, a lofted cut over point which rocketed to the fence in no time. In the early stages of his career, Sanath Jayasuriya was more of a bowling all-rounder. Consequently, he had to often bat as low as No.6. But Dav Whatmore, the Sri Lankan coach and Arjuna Ranatunga the captain at a point of time spotted the Matara man’s hard-hitting abilities and promoted him to open the batting for Sri Lanka. He was actually the pioneer in bringing about lofted shots over the top in the first 15 overs of the game, as he thought that it would be one of the best ways to maintain a good run-rate throughout the innings as his attack would demoralize the opposition bowlers. Now, this strategy has become customary for teams to follow in ODI cricket. Sanath Jayasuriya is the fourth highest run getter in World Cup history, being one of the main architects of Sri Lanka’s 1996 World Cup victory in the Indian subcontinent as his starts were crucial for the middle-order to build on, and the team chased more often than not in the tournament and that too successfully. While in the 2003 World Cup, he led the side to the semifinals not just as captain, but also as batsman hitting 120 in Sri Lanka’s very first game of the competition, against New Zealand and followed that performance with two fifties, both coming in group games. In 2007, though his showing was even better with centuries against Bangladesh in a round-robin match and hosts West Indies in a Super Eights match in what were must-win matches for Sri Lanka and 63 in the final vs. Australia, which unfortunately went in a losing cause. Sanath Jayasuriya’s highest ODI score is 189 against India at Sharjah in 2000 and that innings crushed India’s hopes so badly that they folded up for a paltry 54 in the run chase. This is what he was capable of doing. Besides, he is the first man to have reached the 12,000 and 13,000 run marks in ODIs. Unfortunately, his average is 32.36 and that is too low to challenge a batsman of Tendulkar’s calibre for long. ‘Dada’ may not have been a great Test batsman even after a century on debut at Lords, but in the ODIS he was one of the best in the business in his time. What is remarkable though about Sourav Ganguly is that he made his ODI debut in 1992, and despite being dumped soon after because he failed, he forged a successful comeback into the Indian team four years later. After his success in England, ‘The God of the off-side’ was promoted to open the batting with Sachin Tendulkar and that changed his ODI career forever. His gigantic partnerships with Sachin was the stuff of the folklore in those days, as these two were primarily responsible for helping India win most of the times, even when the bowling struggled. What followed after that was century after century as Ganguly scored 11 out of his 22 ODI hundreds in the years 1999 and 2000 itself, making him one of the highest run-getters in both the calendar years. His 183 against Sri Lanka in the World Cup game at Taunton in 1999 effectively knocked the world champions out of the tournament and is considered as one of the finest innings in World Cup history ever. With that, Ganguly become a household name in a country obsessed with Sachin Tendulkar. In the 2003 World Cup though, Ganguly decided to demote himself at No.3 in order to let Virender Sehwag and Sachin Tendulkar give India attacking starts as he was more of a constructor than a destroyer of bowling attacks. The intention behind it seemed noble, and fortune was on Dada’s side as he went on to hit three centuries in the tournament, two being against Kenya in the Super Sixes and the semifinals as well. He ended as the second highest run-scorer of the tournament, behind Tendulkar. However, from the period of 2003-2005, Ganguly batted in the middle-order as Sehwag and Tendulkar had established themselves as a successful opening pair for India in ODIs. But his form slumped drastically and a chapter was almost closed when he was dropped from the ODI side both as captain and player, in October 2005. However, being the fighter he is, He did manage a grand return to the stage in the beginning of 2007, prior to the World Cup in the West Indies and the opening slot was given to him yet again. The runs were flowing like ocean water from his bat, as he finished with 1240 runs in that year, despite hitting no hundred. His last ODI was against Pakistan at Gwalior, before he was surprisingly omitted for the CB series in Australia in February 2008. A few months later, sadly he retired from all formats of the game, with 11363 runs in 311 matches. Adam Gilchrist may have batted at No.7 in Test cricket, but in ODIs he made the opener’s slot his own by his instinctive and powerful striking of the ball. It was in ODIs where he was recognized first by the cricketing world, as he made his debut against South Africa at Faridabad in 1996. Like the others in this list, Gilly was promoted up the order gradually when his team needed an aggressive batsman at the top and that happened in 1998. It paid off immediately as in his only second game as opener, he smashed a 100 off just 104 balls against South Africa at Sydney in a successful chase of 229 runs, with eight overs to spare. 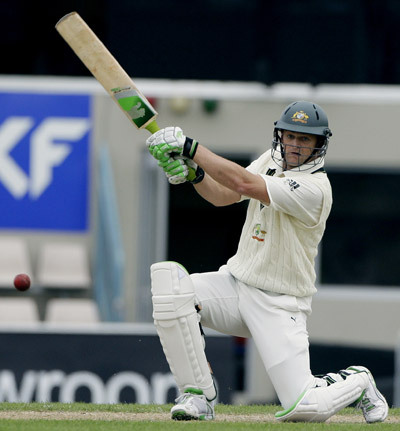 Being a wicket-keeper is also no easy task, but such was Adam Gilchrist’s fitness that he was able to open the batting in 265 out of the 287 one-day games he has played for Australia in his 12-year career. His 172 against Zimbabwe in 2004 is his highest score ever and was a record for the highest ever by a wicket-keeper batsman in this format of the game, until MS Dhoni broke it a year later against Sri Lanka with an unbeaten 183. His punches straight down the ground and pull shots in particular are a joy to watch and Adam Gilchrist in full flow is a huge threat to any opposition’s chances of winning. Sri Lanka know it better than any other team when an attack comprising of Chaminda Vaas, Muttiah Muralitharan and Lasith Malinga were taken apart in his 149 run knock, scored off just 104 balls. A strike rate of 143.26 had something to do with the squash ball that he was wearing in his glove for this game, and it goes to show how desperate Gilchrist was to get back in form, for his side when they needed it the most, in a World Cup final. This is one of the best ODI knocks of all-time, also considering the fact that the Australian innings was reduced to 38 overs due to rain and Gilchrist was out in the 31st over, taking full advantage of the powerplay overs. Adam Gilchrist pulled off successful opening partnerships with Mark Waugh, and more importantly Matthew Hayden as Haydos and Gilly together were close to unbreakable for a bowling attack, and was the reason why Australia dominated the one-day game from 2001 to 2008, by the time Gilchrist quit international cricket ending with 9619 runs at a blistering strike rate of 96.94 being an idol for upcoming wicket-keeper batsmen these days, and to contemporary cricketers such as MS Dhoni himself. Virender Sehwag’s inclusion in this list is a little edgy and to an extent rightly so. It is because he has an average of 35.66, with only 15 ODI centuries to his name. He is said to be a poor convertor of attacking starts, normally getting out in the 30s and 40s. But that is because of the fact that his role is to go berserk and give the team an attacking start as per his natural game, irrespective of whether he loses his wicket or not. And so no one can underestimate his ability to bat hard and long in ODIs, and it has been seen with his improvement in recent times. Virender Sehwag made his ODI debut in April 1999 against Pakistan at Mohali. But he was out after scoring just 1 run off 2 balls, and was promptly forgotten until the home series against Australia in 2001. This time though, he made a statement on his return with a quickfire 58 against the world champions in Bangalore. It eventually was a match-winning effort and signs of greatness were beginning to arrive. In the same year, there was a tri-series between India, New Zealand and Sri Lanka in Sri Lanka. For one of the matches against the Kiwis, Sachin Tendulkar was unavailable due to injury. Ironically Tendulkar faced the same situation in 1994 against the same opposition, only this time he was the man injured and so Sehwag was asked to open the batting in his place, promoted way above his usual No.6 spot. The move worked miraculously well as Sehwag smashed a 100 off just 70 balls, helping India successfully chase 267 with more than four overs to spare and set up a title clash with Sri Lanka. Virender Sehwag’s success at the top made him open the batting often with then captain Sourav Ganguly in the period of 2002-03, and that period was golden for Indian cricket in ODIs with wins in West Indies, England and the Champions Trophy in Sri Lanka which featured the top 8 sides in the world. Sehwag was almost immovable from the opening slot that Ganguly had to drop down to No.3 in the 2003 World Cup after he tried to open the batting with Tendulkar. Sehwag did not have a great World Cup as such though, barring a close to run-a-ball 82 against Australia in the final in Johannesburg which kept Indian fans interested to watch a lost game. Virender Sehwag’s merry-making ways however came to a temporary halt in 2007 when he was dropped from the team on the tour of England on the grounds of indifferent form. Yet, India were left with a few options in that period in terms of their batting and with the team winning the World T-20 and Sehwag impressing in the competition, he made his ODI return against Pakistan batting at No.4. But as Ganguly was omitted from the one-day side, Sehwag returned to be an opener with Sachin once again and since then, his juggernaut has not stopped. In the World Cup 2011, it was his 175 against Bangladesh in Dhaka which was crucial in India kick starting their campaign with some confidence, batting 46 overs in the game after some pre-match jitters given to the team due to the fact that Bangladesh had famously beaten India in the 2007 edition of the competition. Besides, in the semifinal, he hit 21 runs off one over from Umar Gul to up the run-rate and provide a foundation for a good score. 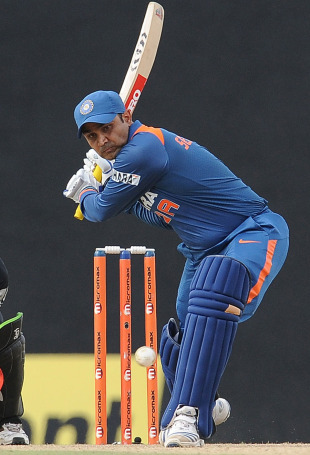 And come November, Virender Sehwag holds the record for the highest ever ODI score hit by a batsman. 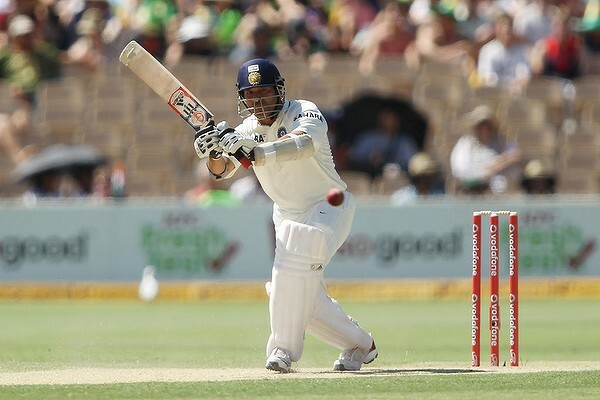 Tendulkar had predicted that it is Viru who is likely to break his record in the future and it came out to be true. He hit 219 runs off 147 balls against the West Indies at Indore, making an otherwise dull series much talked about across the cricketing globe. This was the ultimate tribute to Sehwag’s blazing style of batting and definitely makes him an important feature of this list. Currently, he has scored 8025 runs in 240 ODI games at an amazing strike rate of 104.62. This makes him one of the most India’s most experienced players and more importantly batsmen in the absence of Tendulkar from the ODI team. Pakistan is usually said to be a land of bowlers but Saeed Anwar defied the odds by becoming a world class batsman, especially in ODIS. Bowlers and batsmen generally have to contribute equally to win matches. But for Pakistan, it was usually the bowlers who would step up and the batting would let them down. However, Anwar ensured that his country remained the most consistent team of the 90s in this format of the game by saving its face with excellent batting performances. Some of his best knocks have come against archrivals India. His most unforgettable being the epic 194 he hit in Chennai in 1997 off just 146 balls, just six runs short of a double ton. This was a world record individual score in ODIs for thirteen years until ironically, the man who got Anwar dismissed in that game, Sachin Tendulkar scored 200 not out against South Africa in February 2010. Although Charles Coventry also hit an unbeaten 194 against Bangladesh in August 2009, but it is not sure whether it can be considered that he broke the record and not Tendulkar. Anwar also hit a hundred in the World Cup 2003 against India in a group game at Centurion. In a tense game, this was a fine effort as he was playing gracefully despite wickets falling at the other end. His 104 is one of the finest centuries in World Cup cricket but it is unfortunate that his efforts went in vain and not many would remember this hundred, as Tendulkar hit 98 in the run chase of 273 and India romped home by 6 wickets, effectively knocking Pakistan out of the tournament. This was the penultimate game of Anwar’s career with his final appearance being a washed out match against Zimbabwe at Bulawayo. Saeed Anwar has also had success against Sri Lanka, having scored 7 of his 20 ODI centuries against them. By the end of his ODI career, he finished with 8824 runs in 247 matches at an average of 39.21. But fans are most likely to remember him not by his numbers, but the elegant or sometimes even powerful drives through the off-side despite hardly any footwork. The burly Australian opener formed one of the finest opening partnerships in ODIs of all-time with Adam Gilchrist. However, Matthew Hayden has had a stop-start one-day career having made his debut as early as 1993. But he was dropped after eleven months of international cricket, only to come back into contention in 2000. He appeared in some of the games that year, but burst into being an international level player on the tour of India in 2001 where he carried his Test form into the ODIs as well. It was from there that his ODI career took off. Matthew Hayden had an impressive 2002, and in 12 months, he was the member of the Australian side which won the World Cup with his contribution being two fifties in the tournament. His ability to unpredictably attack a bowler due to his burly figure, worked largely in his favour and particularly in ODIs making it difficult for the opposition to set fields for him, and that is a hallmark of a great batsman. His one-day career may have ended in 2008 but in the span of seven years, he achieved numbers which only a few batsmen could think of achieving. He scored 6133 runs in just 161 matches at an excellent average of 43.80. It included the highest individual score by an Australian, 181 not out against New Zealand in 2007 prior to the World Cup. Incidentally, Hayden broke Gilchrist’s record in the match. And come the 2007 World Cup and Matthew Hayden was in blistering form. He ended as the highest run scorer, with 659 runs at an average of 73.22, with three out of his ten ODI centuries scored in that tournament. He later revealed that his toe was fractured and had a broken bone to suffer in one of his foot. This shows the mental strength he had, to step up for his country when they needed him to do so the most. 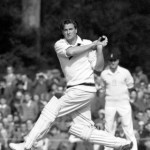 Australia went on to win the championship, but unfortunately his performance was overshadowed by Glenn McGrath, who finished as the highest wicket-taker and bowed out after the final against Sri Lanka. Matthew Hayden was at times inconsistent despite possessing a good average and that stopped him from having a long ODI career, with age not being on his side as well by the time he played India at his home ground Brisbane in 2008 in his last ODI ever. Desmond Haynes is the only man in this list to have played in the most of the 1980s. He was one of the few openers back then, who reveled in the ODI format, which was relatively nascent in those days. Although he had a low strike rate of 64, but it was considered as good as what 80 is considered as a strike rate these days. His average was brilliant, i.e, 41.37 as he featured in 238 matches for the West Indies ending up with 8648 runs with his highest score being an unbeaten 152 against India at Guyana in 1989. 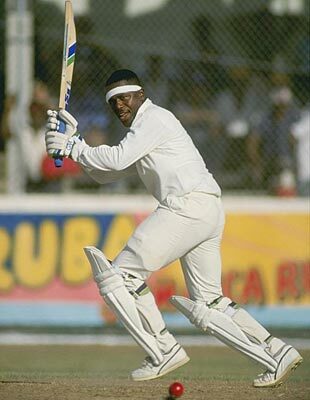 Desmond Haynes formed one of the best opening partnerships with Gordon Greenidge, with Haynes playing more of the constructor, looking to build the innings while Greenidge dazzled with his scintillating strokeplay. This is one of the reasons why West Indies dominated ODI cricket in the 80s, despite not winning a single World Cup in the decade. His one-day career began in March 1978 and ended in April 1994, and he scored 17 centuries in all those years, making him amongst the players who have scored the highest number of hundreds in the format of the game. These batsmen have revolutionized batting in this format of the game in the last two decades, which have co-incided with ODIs becoming more entertaining for the fans and competitive in nature for teams. 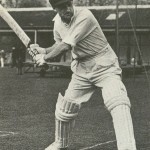 There may be some who have missed this list such as Herschelle Gibbs and Mark Waugh, but these eight batsmen have made the maximum impact in one-day cricket out of all batsmen in their era and have been an asset to their team, winning them matches on a frequent basis with the aggressive starts they are able to give. Virender Sehwag should at be no. 1. This team can Beat Any team in the World………….My dream Team………….. I can give an exclusive team that can not deafeted by any team.surely it is the best team ever. I think sachin need to leave India team now. Its high time for him to take this decision. In 2 years ago he was still a best batsman. But now we the supporters of him think that he is so greedy. What is not got by him. He gets respect, money and also a happy family. So he wants to get now.we pray to him that “Hey greedy man please leave India team now and give chance to the young generation cricketers.”. don’t be silly man Sachin can play now also.when any batsman play two or more matches baldy the india people’s think that it is the time for his retirement not even matter what they have done in past for bcci and indian cricket. i think now days the best opening batsman now days is HENRY CHRISTOPHER GAYLE because now days when he opening the innings the ball atleast 6 times go out of the ground and he go to pavalion when all the fielders go to pavalion.virender sehwag is the second option. I Think Best Opening Pair will be for Ibdua is Ajinkya Rahane and Virat kohli.